Is roast beef and Yorkshire pudding or fish and chips the national dish of Great Britain? The Brits in Toronto crew did a highly scientific and well-planned test to find out: we Googled it. As you can see from the results, these two dishes feature very prominently, with some curry in there too. The jury is still out. But as Mel Waiters sang in his really popular song that all the cool kids are raving over, Friday night is fish fry. Ooooh yeah, baby. Can ya fry it? The best fish and chips — hands down! — is McNies’ fish and chips. You’ll have to jump in the motor and travel 20 minutes west … but it’s worth it. And don’t let their website from 1997 scare you. The food is top notch. Observe: Chips = big fat Brit-style ones, not fries. Crispy batter. Scottish. Mushy peas, haggis and black pudding washed down with Irn-Bru. Want more? OK: Clam strips and chips. Steak and kidney pie and gravy. Scots meat pie and chips with gravy. Scallops and chips. Chips, chips and more bloody chips. You better like chips. Open seven days a week. Takeaways available. Free parking around the back. It’s a win-win for all fish and chip lovers everywhere. We give this chippy a Brits in Toronto 4/5 stars. 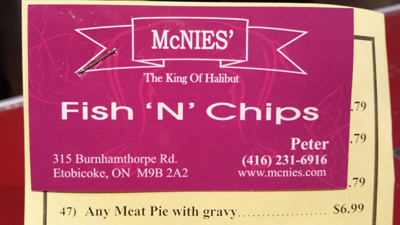 This entry was posted in Uncategorized and tagged brits in toronto, mcnie's fish and chips on January 16, 2014 by britsintoronto. New York City has Carrie Bradshaw. But she’s made up; a fictional character forever doing lunch with her gal pals, drinking Cosmos and getting soaked by passing buses as they splash through puddles. Toronto has Jessica Napier. She’s the real deal. Grabbing Subways to go, sipping Double Doubles and being sensible by taking the TTC (that mostly runs on time thanks to this bloke). Both Carrie and Jessica have one thing in common: they both write a weekly newspaper column about their busy lives in their respective city they call home. Jessica’s is called “She Says” and appears every Tuesday in Metro. I first moved here in 1997 with my family and after two university degrees and an untold amount of poutine, I’ve decided to make this my permanent home (for now). I do dream of relocating back to London one day but the property prices just seem so ludicrous! After graduating from Ryerson I was able to secure a magazine internship and from there moved on to freelance writing, before landing my weekly column at Metro. That said, I did a lot (a LOT) of writing for free before ever seeing a paycheque. Persistence and networking definitely paid off — but it took time. The weather is both one of the best and worst things about living in Toronto. I love the extreme heat but absolutely loathe the extreme cold. Even after 16 winters I still can’t get used to minus 30 wind chill. I miss being able to hop on a plane for a short European getaway; Canada is so big which makes it very expensive and time consuming for any sort of travel. That said, Toronto has so many diverse residents and interesting neighbourhoods that there’s plenty of things to do in the city itself. I love bumping in to fellow Brits in the city, especially when it’s over food. The Bristol Yard in Christie Pitts is a great neighbourhood cafe that does a proper British breakfast and comfort food. The Queen and Beaver is my favourite spot for an authentic and delicious Sunday roast and Chippy’s in Trinity Bellwoods is a great place for takeaway fish and chips with mushy peas. Empire the Collection in Leslieville is a charming retail shop and a great resource if you’re feeling a little homesick. They carry all sorts of imported foodstuffs and housewares from the U.K. that’ll make you nostalgic for all things English. I pop in every once in a while to pick up Jelly Babies and Walkers crisps. Thank you Jessica! We’re sure you agree, there’s some great tips there. You can contact her via her personal homepage, Twitter account or She Says account. 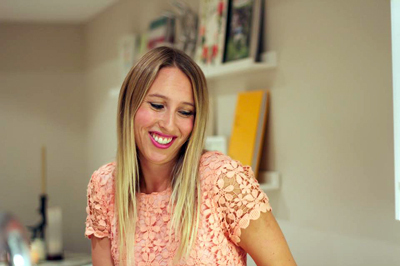 This entry was posted in Uncategorized and tagged brits in toronto, jessica napier, successful brits in toronto on January 14, 2014 by britsintoronto. Still one of the best Indian restaurants in Toronto is, in my totally biased product review opinion, Kama on King Street West. You may walk straight past it the first time as it’s located downstairs. Persevere though — pretend you didn’t make a mistake, turn around nonchalantly, walk back a few paces, look down, take the five or six not-so-steep stairs and you’re there. It’s well worth the effort. The buffets are Kama’s strength. Lunch for $13.75 and dinner for $19.75 — great value. Loads of choice too. Tip: if you go for lunch, aim for 12:00 p.m. on the dot, or 1:00 p.m. when the office crowd are heading back. You’ll have to wait for a table in between those times. Not good if you haven’t finished your Q1 results PowerPoint presentation for the afternoon meeting with the VP. The curry they serve here is the closest the Brits in Toronto crew have found to the ones in England. Therefore, there is a lot of orange and yellow, the best Onion Pakoras in town and the hard-to-find Bombay Potatoes. Their Butter Chicken is very nice too, but the Vindaloo is not as spicy as a Brit Vindaloo — it’s taken down a few notches for the Canadian palate, but the flavour is excellent. They have all the hot lime pickles and other sauces in a separate salad section if you wanted to mix some in to raise the heat level. A good selection of veggie dishes too means that everyone is covered. A very good office lunch place, and therefore we give it a Brits in Toronto 5/5 stars. 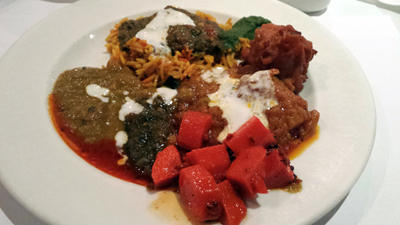 This entry was posted in Uncategorized and tagged brits in toronto, curry, kama on January 12, 2014 by britsintoronto. Is immigration turning away best, brightest? Travelling to the Brits in Toronto office yesterday during the polar vortex, my eye chanced upon a copy of Metro, the local free daily newspaper. According to hopeful permanent residency applicants and an immigration lawyer, very skilled people are being rejected for no obvious reason that they can discern. Pretty worrying. But how can immigrants prove that? I’m not sure if there’s an appeals process or not. The kind of talented individuals that the Federal Skilled Worker Program was set up to attract are apparently not making it through. Brits in Toronto are going to put out a few feelers to see if we can get some more information and post an update. 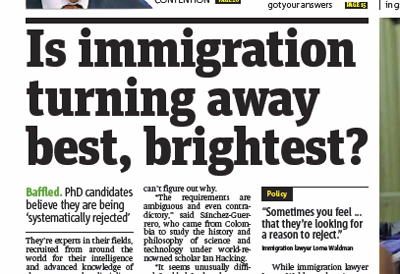 You can read the full article as a PDF here (right click/save as): Is immigration turning away best, brightest? This entry was posted in Uncategorized and tagged brits in toronto, federal skilled worker program, immigrants, immigration on January 8, 2014 by britsintoronto. Cast your mind back. It’s April 29, 2011. 4:00 a.m. Not a soul is stirring across the City of Toronto. Not unless you’re one of Ward 13 City Councillor Sarah Doucette’s constituents, who were invited to a live Royal Wedding party she hosted to celebrate the marriage of the future King William and Kate Middleton. But that’s what Successful Brits in Toronto do. 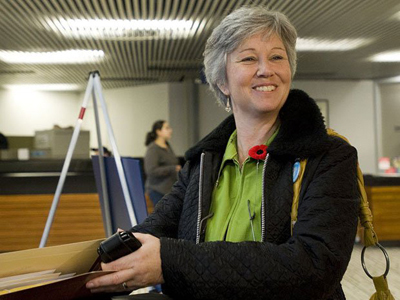 Like Councillor Doucette, they leave family and friends behind in Old Blighty, carve out great lives for themselves in Toronto — but never forget their roots. I came to Toronto on October 20, 1980 to work. I had relatives living in Pickering and a friend of my late brother at York University, so at least I would know someone here. I arrived on a one-year return ticket but used it to return to England on holiday before returning to Toronto to stay as I had met my husband-to-be. I applied for a job through The Lady magazine while still in England. I wanted to travel the world one year at a time, work for 10 months and explore the country for two months. But as I mentioned I met my husband within four months of arriving, have now been married for 26 years and been in Toronto for 33 years. The world tour will have to wait. The opportunities are amazing — far more than I would have had if I had stayed on the Isle of Wight, England. Toronto is a great place to live, work and play. You can travel the world by just visiting different neighbourhoods. I love living in such a diverse city. I miss being so far away from my family. I miss the open rolling hills, being able to walk up onto the Downs with the wind in your face … it gives you space to think away from the hustle and bustle of life. I miss the sound of the sea and the smell of the seaweed thrown up onto the beach after a storm. One of my best friends — who I met here in Toronto 24 years ago — is British. This really helps as when I get tired I speak English and she can translate so others can understand. I have met a lot of British people living in my neighbourhood or others with connections of past generations from England. A great place to meet people from Britain is at the local football (soccer) club while our children are playing. When I first came to Toronto I would spend time at the Duke of Gloucester and Scotland Yard pubs; both were great places to meet Brits. I think your website is a great place for people to visit when they arrive in Toronto. [WHY THANK YOU, SARAH!] Two biggest things to remember are which side of the road do you drive on and which way to look when crossing the street. Oh yes and I miss double decker buses — you get an amazing view from the front window on the upper deck. Much appreciation to Councillor Doucette for keeping it real at Council and finding the time to bring a little bit of home to Brits in Toronto! This entry was posted in Uncategorized and tagged brits in toronto, sarah doucette, successful brits in toronto on January 7, 2014 by britsintoronto. The Brits in Toronto crew were missing home a little over the Christmas holidays. There’s nothing quite like going to a fine British establishment for some copious imbibing, good cheer and snacks. Unfortunately, flights home were too expensive this year — and we still don’t have a major corporate beer, dental chain or Indian food website sponsor yet — so we did the next best thing and headed to the Windsor Arms Hotel to try out The Living Room restaurant and bar. So we quickly changed out of our Corrie Street T-shirts and jeans, into smart trousers and shirts … and off we jolly well popped. Our host was a Geordie from Newcastle called Anthony. He was excellent, made us feel very welcome and had a load of great, funny stories to keep us entertained. We soon relaxed into the deep, comfortable settees and ordered drinks. The Britettes in our group went for the bottle service and partook of the vodka on offer, whilst us gents opted for the SELF-POUR draft beer. Yep — you just reach over, choose one of the two beverages of that night, tilt your glass and pour yourself a nice glass with no head at all. Because Brits hate head on their beer. Having eaten earlier at this amazing place, we were kinda stuffed — but Anthony tempted us with some popcorn coated in curry spices that were REALLY addictive! Would have a drink there just for that stuff. And I’m not a popcorn fan, trust me. All in all, we really enjoyed our night here and definitely plan to go back to sample the full menu at some stage. For that reason we give it a respectable Brits in Toronto 4/5 stars … for now. Suspect that will go up once we do the eats full justice. 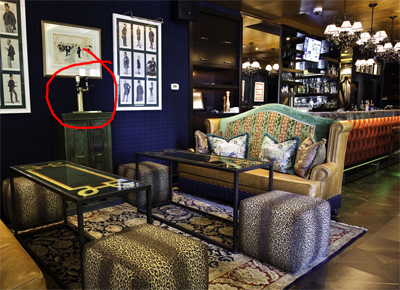 This entry was posted in Uncategorized and tagged brits in toronto, the living room, the windsor arms on January 5, 2014 by britsintoronto.